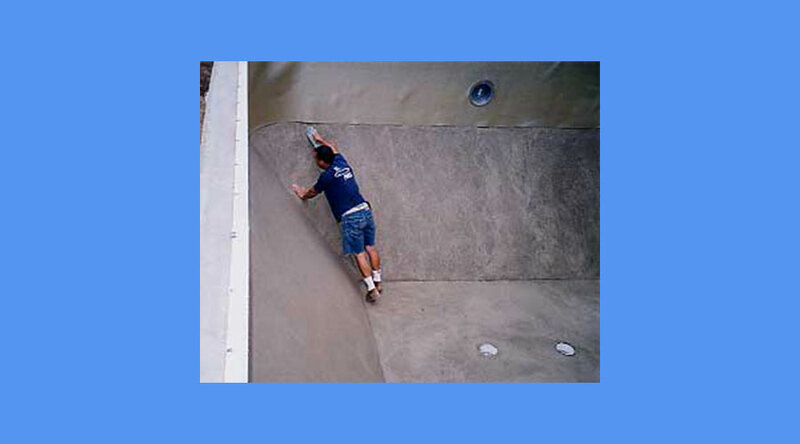 With the strength of concrete, these 10" thick, steel-reinforced concrete walls form the strongest swimming pool that we offer. 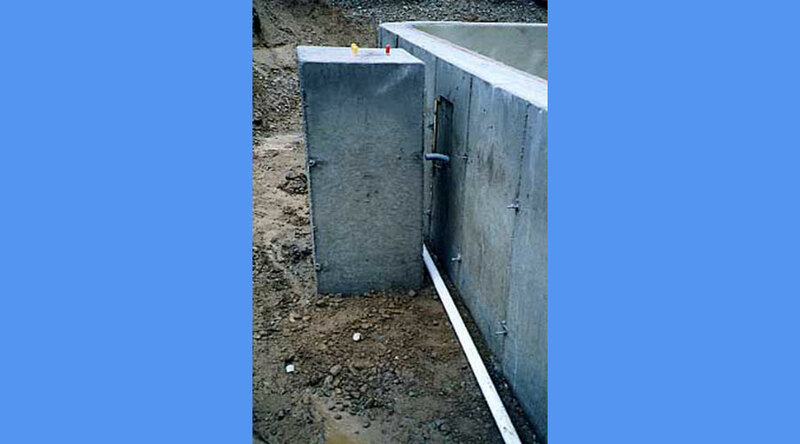 Concrete walls are completely non-corrosive, will not rot, and we have been building them for decades with trouble free performance. Available in a variety of both shapes and rectangles, they also present some unique options like stair entries that are 20 feet wide or more. 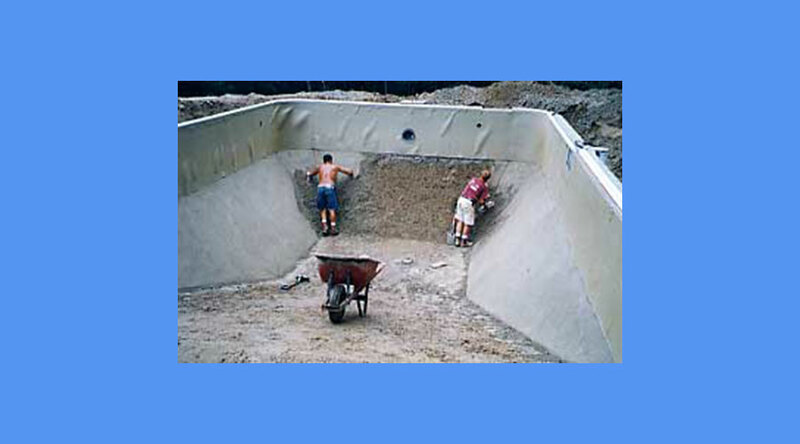 Once the concrete forms are stripped away, all our concrete wall pools receive a specially designed closed cell wall material that protects the liner from abrasion while giving the pool interior a luxurious feel to the touch. Our brand of vinyl surface from Vyn-All is specifically formulated for maximum stain and scale resistance. 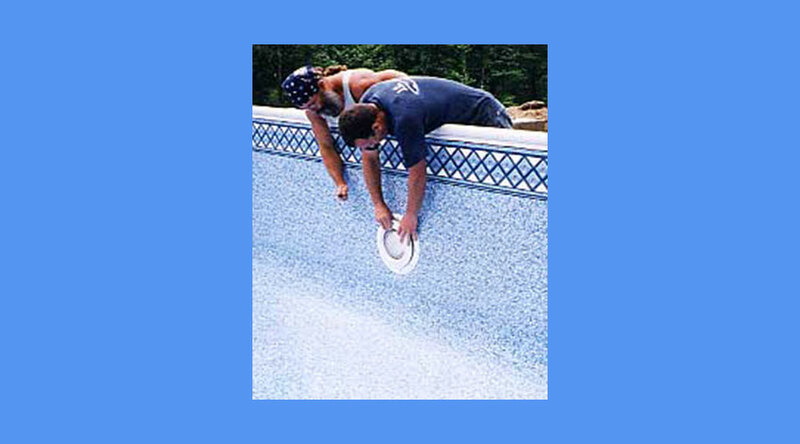 Unlike other surfaces, like plaster that are rough to the touch, prone to scaling and staining, and often require careful attention and brushing, the Vyn-All surface is low-maintenance and highly durable, so you spend less time maintaining your pool and more time enjoying it. Here, the forms are set and ready to pour the 10-inch thick reinforced concrete walls. 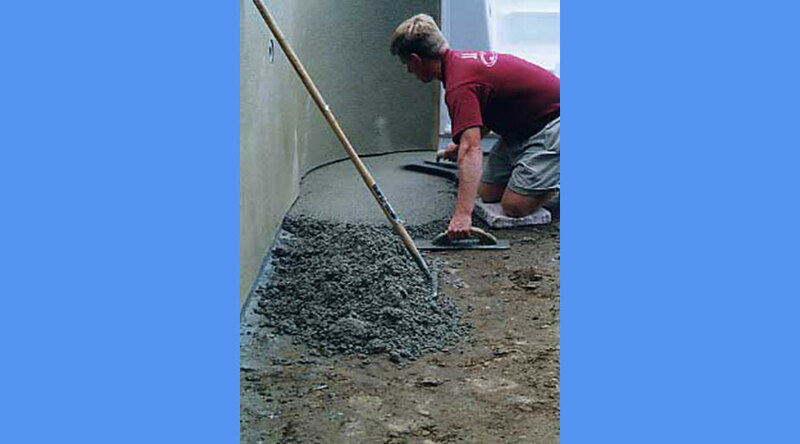 Concrete mixture is seen flowing into the forms. 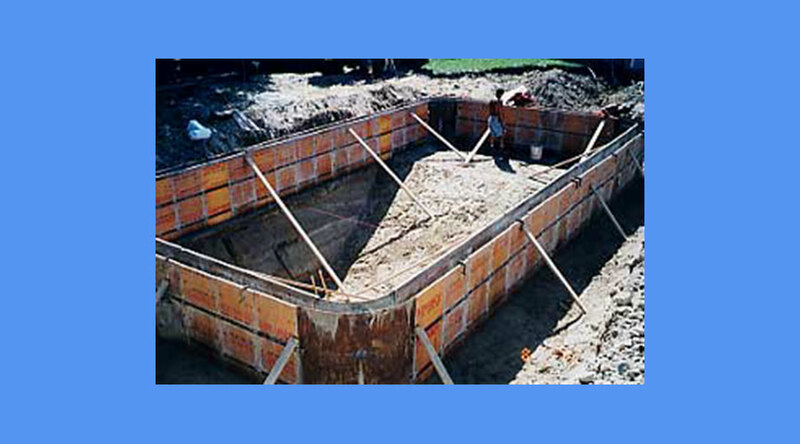 Walls are reinforced with 1/2-inch steel rebar. 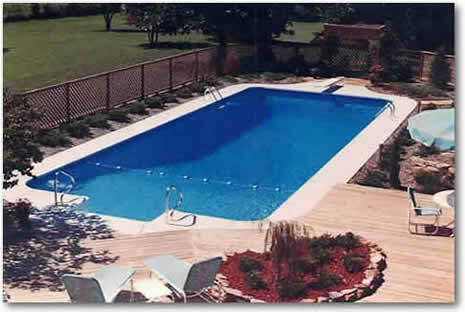 No vinyl liner pool comes close in strength and durability. 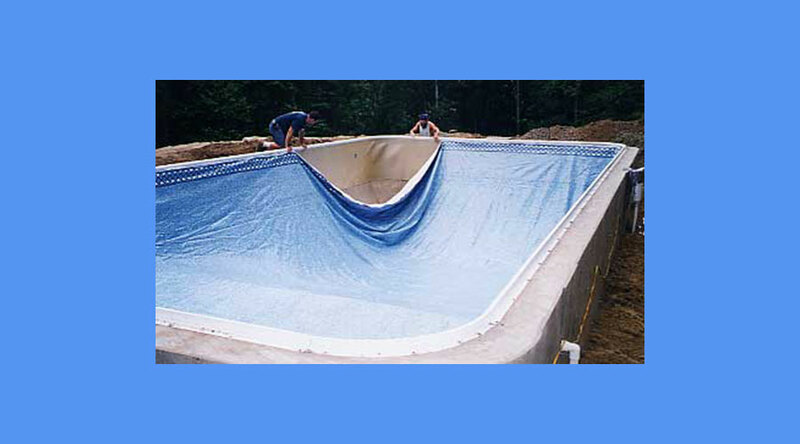 After forms are stripped away, the interior of the wall is covered with pool wall foam to produce a comfortable 'feel' and to protect the liner from abrasion. The vermiculite/concrete bottom is being installed here. Final troweling of the vermiculite bottom in the deep end. Troweling the shallow end floor. 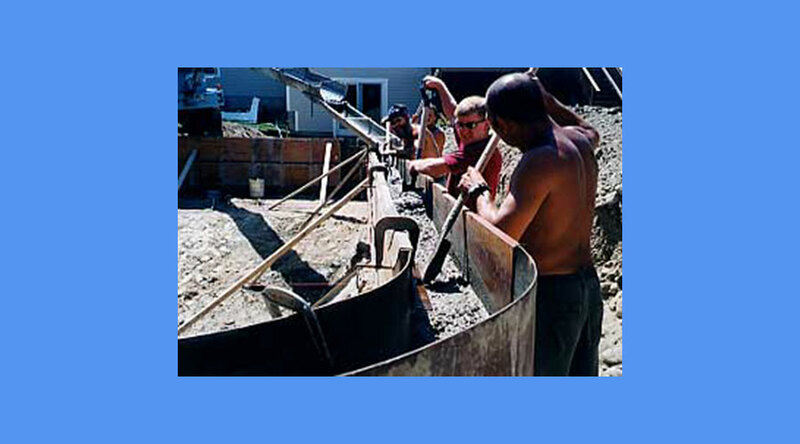 A solid concrete diving board footing to undisturbed earth ensures the diving stand and board will never shift or move. Concrete receptor coping is already installed in this photo and the vinyl liner is hung into the coping track. Finishing the installation of the liner into the receptor track. 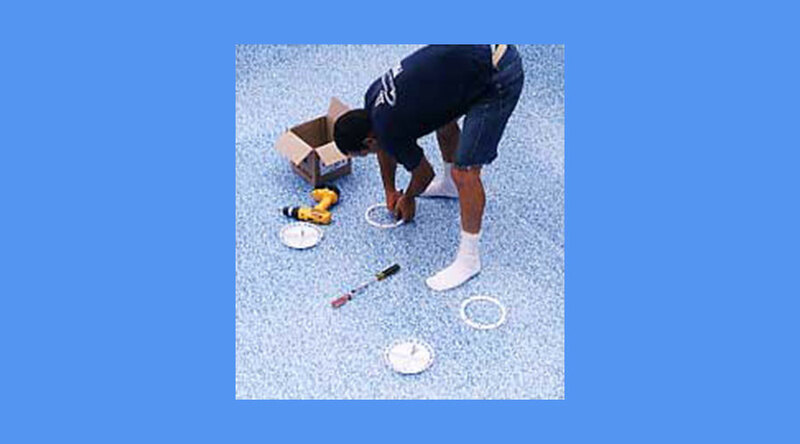 With commercial vacuums pulling the liner smooth against the wall and floor, the main drain faceplate is installed. Final touches are put on the installation of the side wall light. 11 -- Fill It Up! 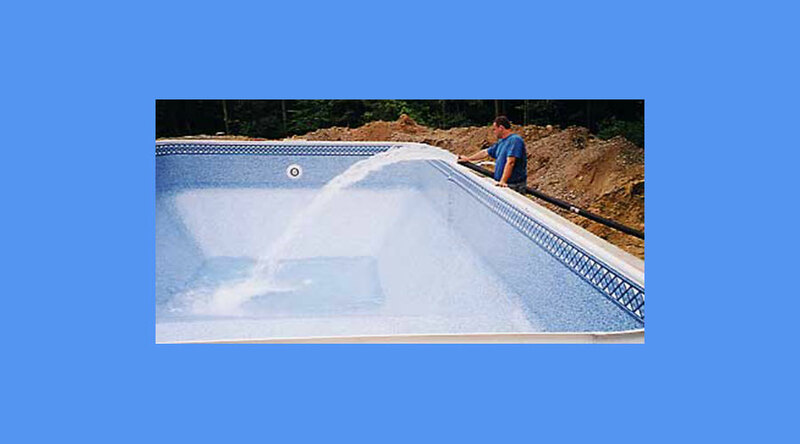 With the vacuums continuously holding the liner snug, this photo shows the pool being filled with water.